After the holidays, and some very hot weather, the restaurant is booked out. They'll have a table in about an hour, so they take my number. I head off to a nearby pub, and utilise their couch for a while. It takes until 9:00 for a table to free up. Five minutes later, I'm seated. Ten minutes after that, my drinks haven't arrived. 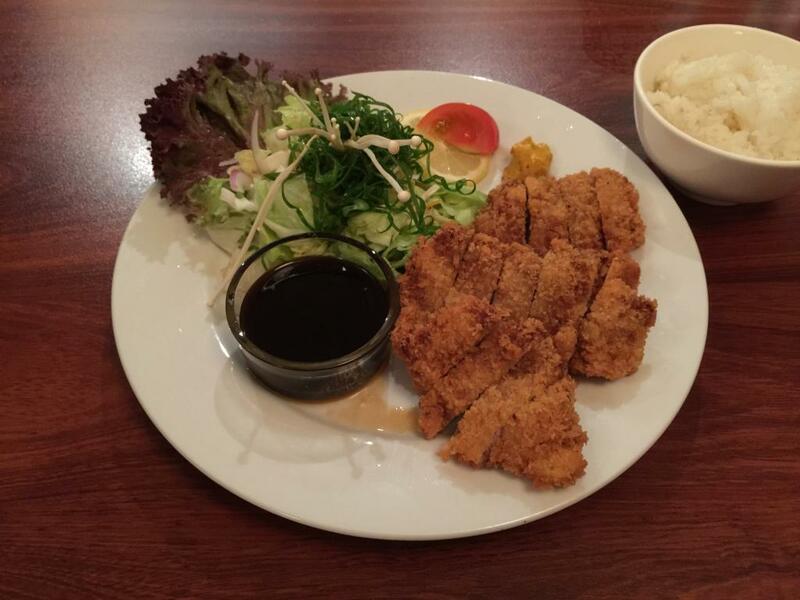 Crumbed pork with Tonkatsu (BBQ) sauce. This is essentially chicken nuggets. The fact that it's pork is irrelevant. It's chicken nuggets. The barbecue sauce is pretty similar to what comes from a bottle, at a barbecue. Adding the spring onion adds a bit of tang, but there's not really any complex flavour here. The additional taste of iceberg lettuce adds less than nothing. There's mustard on the side of the plate, but it obviously conflicts strongly with the barbecue sauce, so I ignore it. At Matsuri, the simple, traditional, raw stuff is the best. If that's not what you're looking for, don't come here. Also, desserts here are always terrible, but I'm going to order one anyway! They're either weird, bland, bean-based things, or half-arsed Western desserts that differ little from a McDonald's sundae. 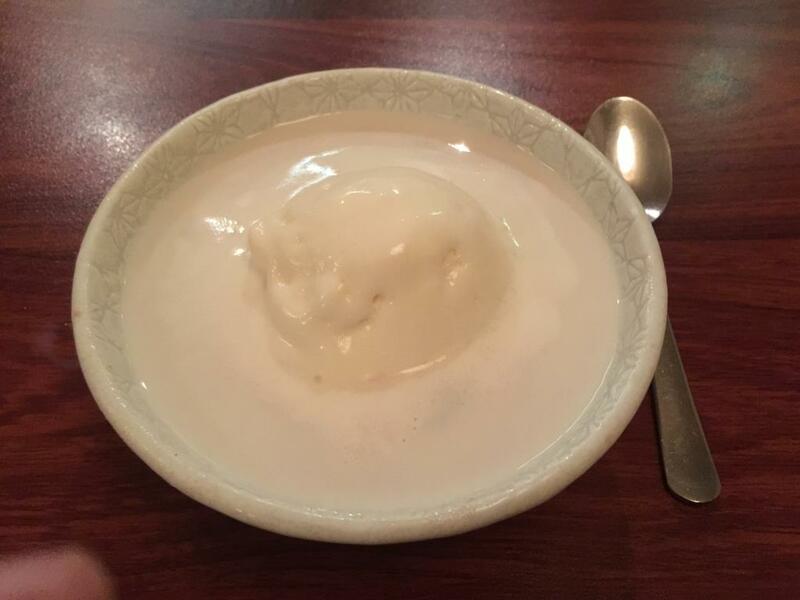 Cold red bean soup with vanilla ice cream & milk. Yes, the same beans are in this dessert that are in the other beany desserts. However, this dessert is sweet enough to make them pleasant. The beans become very similar to dates or sultanas.